well, the suspense was overwhelming, I know, I know. FINALLY the feature is revealed. 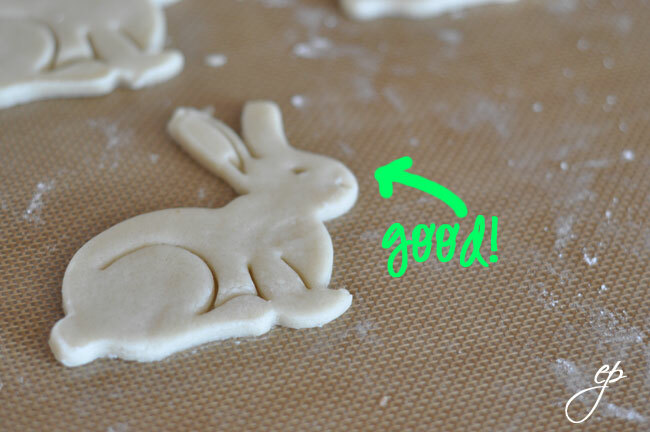 *wink* This week, in light of the holiday approaching, we are going to make easter cookies. 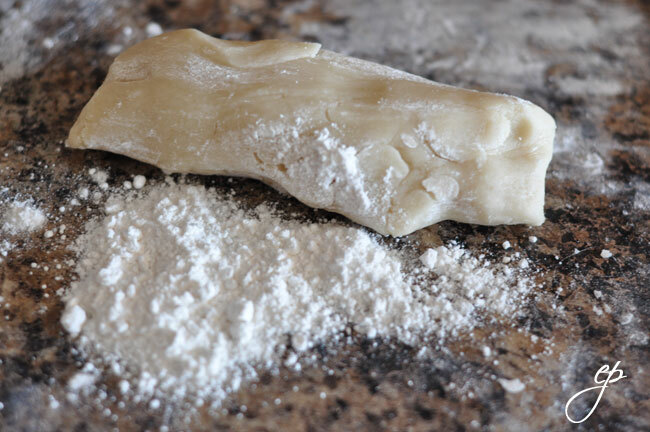 and my mom, the master baker, will have a fit when she sees the cookie dough I am using…she had her hopes on me making her grandmother’s sugar cookie recipe from scratch. (Next time, mom. I promise) now, you guys need to know that this has been a 3 day project for our crazy family. LOL. 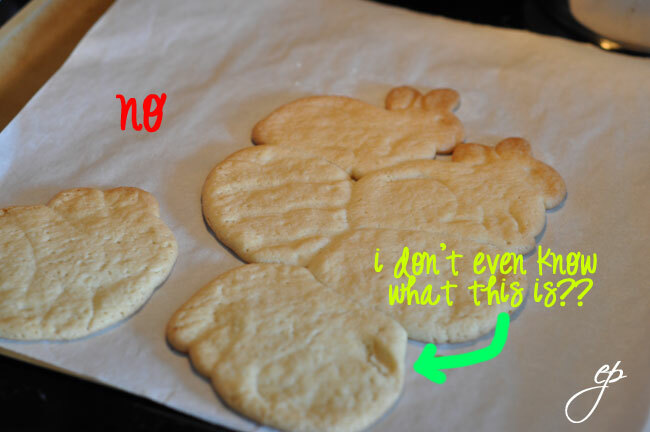 We made cookies one day, and have been icing them off and on for the past 2. 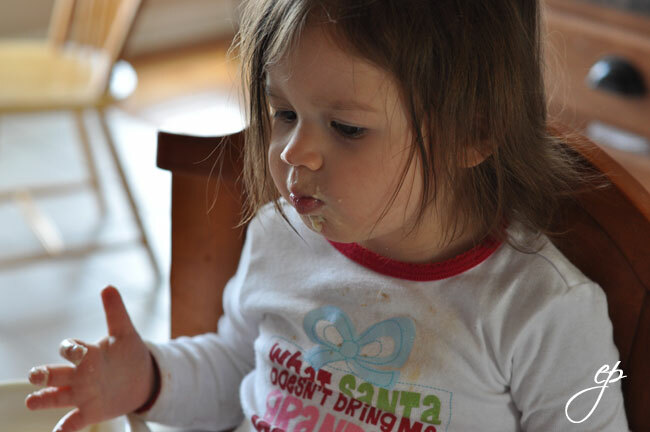 You can do it all in the same day, though…just keep your expectations low if you have 2 kids “helping.” Alright, lets get started: Put your creative spirit in the ON position. Ready. set. GO! 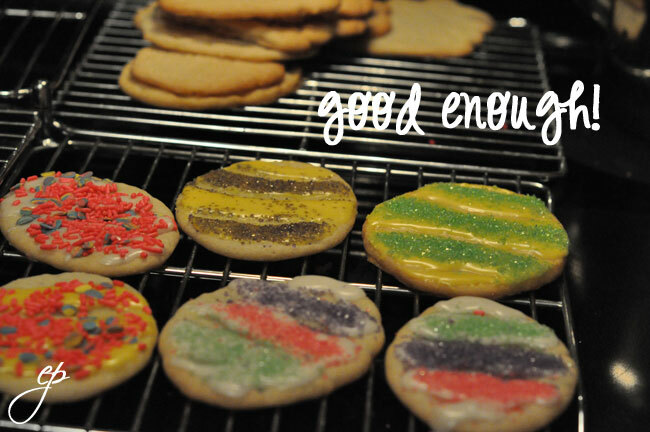 an oven, sugar cookie dough (if you’re an overachiever, feel free to make your own), cookie cutters (spring or easter theme—you can use your Santas but..that’s really for another post), flour, a rolling pin, cookie sheets, parchment paper (or sil-pat), powdered (confectioners) sugar, food coloring (DEE, don’t judge me! 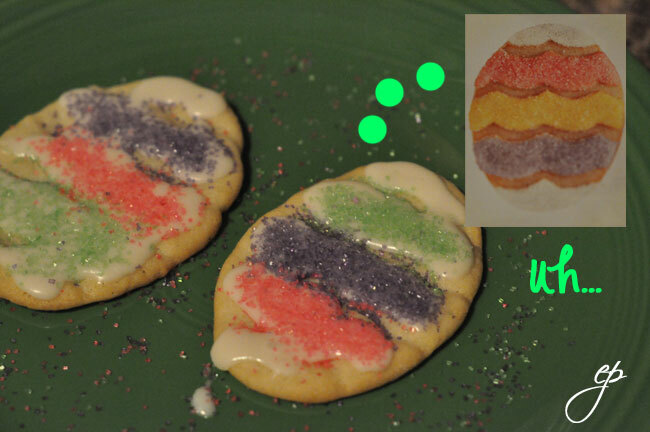 *wink*), water by the tablespoon, pure vanilla extract, a small ziploc bag, and some sugar sprinkles (we used Wilton’s Easter blend). 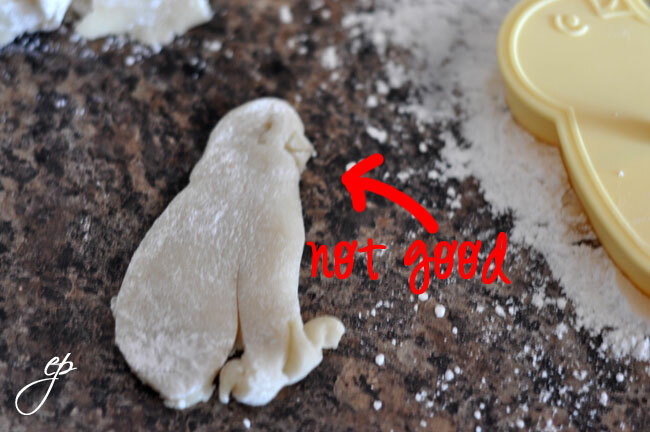 2) once you’ve flattened your cookie ball out into a nice pancake, transfer it to parchment paper or your silpat surface and arm yourself with your cookie cutters… IF you do not cut out your shapes on the parchment paper (that you then plan to bake on) your cookies will look like THIS when you gingerly try to scrape them off the counter with your spatula. 😉 learn from my mistake. 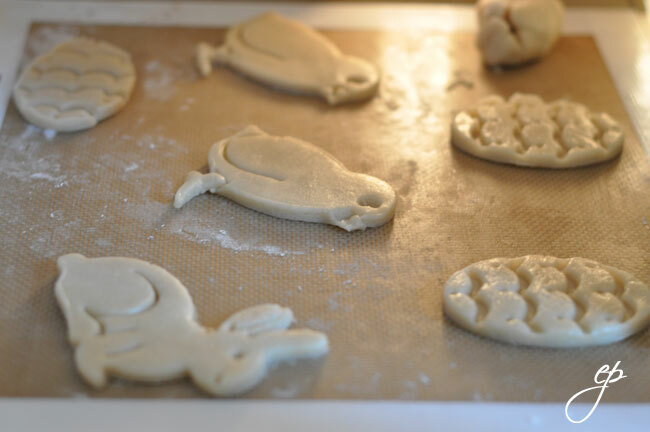 I lost track of what # I was on) Once you’ve loaded your tray with your gorgeous birdy and bunny and eggy shapes, PUT THEM IN THE REFRIGERATOR FOR 30 MINS! (wait? not the oven? you say…) its no mistake. FRIDGE FIRST. Trust me on this one. 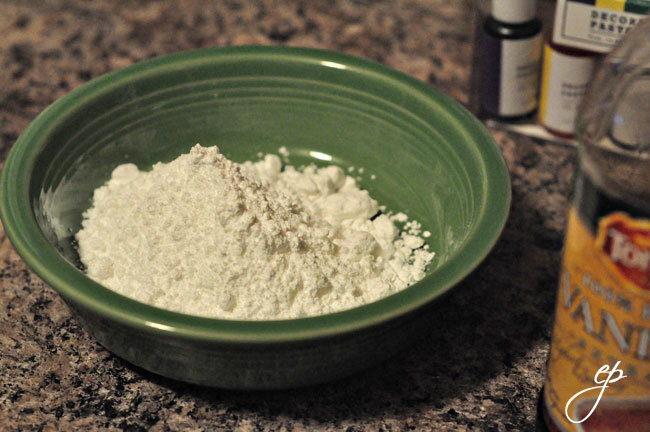 Pour about 1 cup of powdered sugar in a bowl. Add 1/2 tsp vanilla extract for flavor. Add one tablespoon of water. 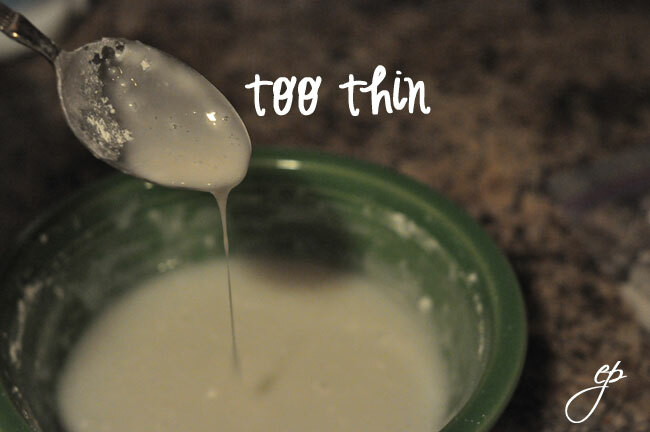 Stir your sugar and water mix after each water addition…continue adding water by the tablespoon until you get a good thick consistency for your icing (see pics below). 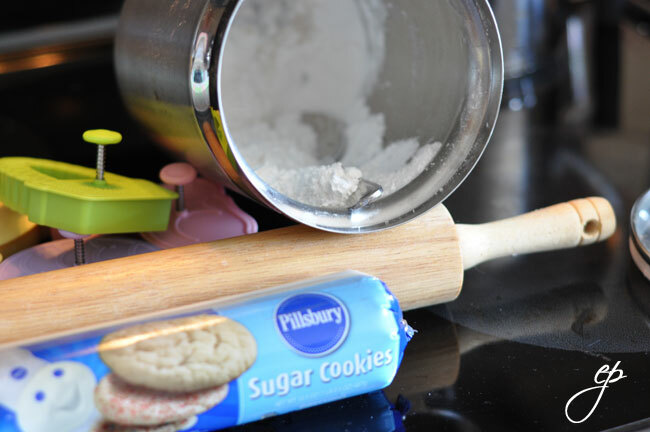 if you get in a jam where your icing is too thin, just add more powdered sugar to thicken it up. you really have to play with it to get it right. and its NEVER perfect the first time. so don’t be too hard on yourself. 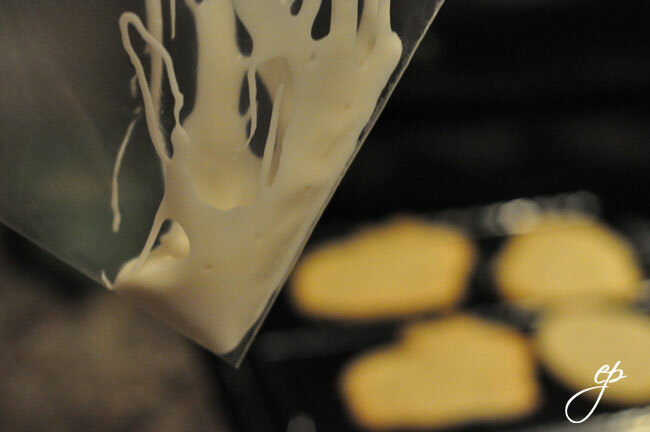 get out your ziploc bag and pour in some of your newly homemade cookie icing. 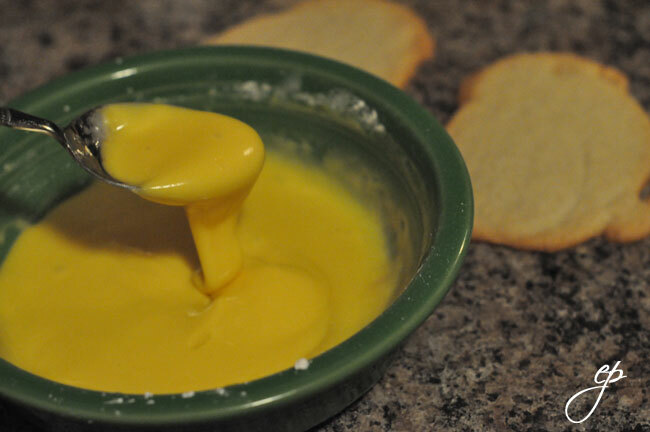 pour it into a corner and then cut a SMALL hole in that corner. Now you have your own disposable icing bag! 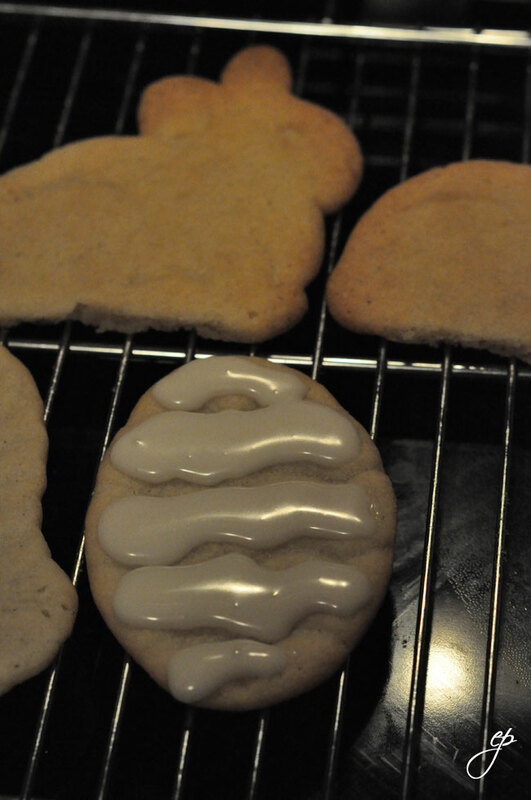 I used the bag to pipe icing onto my egg cookies so I could do it in lines. Get creative with yours! This was our GOAL…. um…you could say we fell a little short of perfection. haha!! 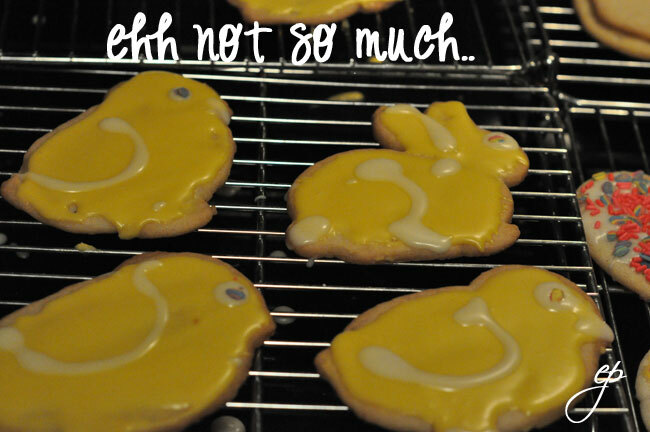 continue making more icing as you need it and change your colors up…unlike what we did (note the YELLOW bunnies in the pictures below). feel free to enjoy the adult beverage of your choice. 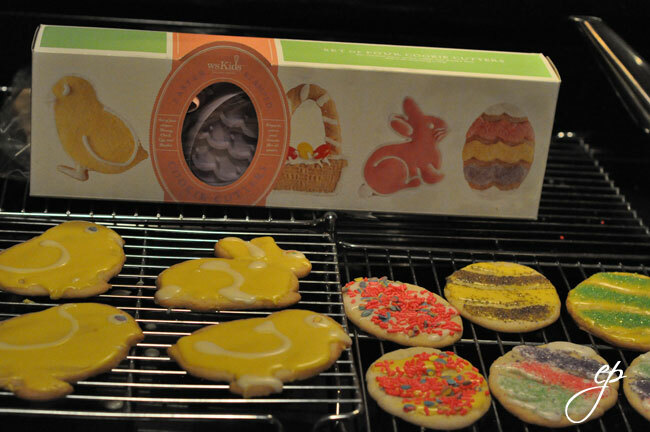 have fun filling your easter baskets with your beautiful cookies!! next week we’re going back to photography…spring-time photography tips are on the list so everyone dust off your cameras and get ready! 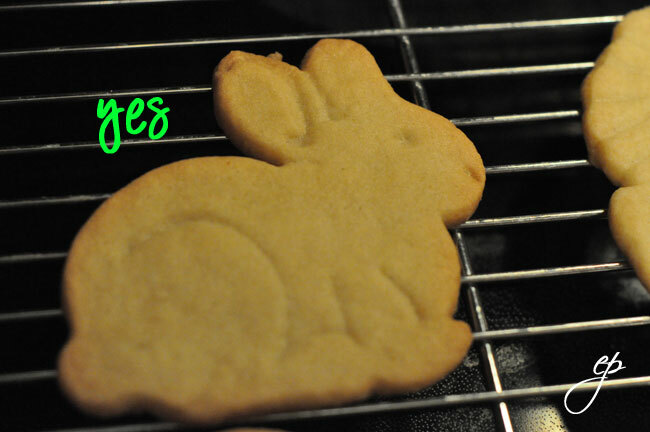 10 Comments to feature friday: easter cookies! Fun! I am signing up to participate next time! we definitely missed your creative decorating expertise, Linds!!! yay!!!!!!!!! i had no clue, but i love it!! Bill’s favorite part was the Fat Tire. I love your blogs – they’re very entertaining. Oh, and I guess we should have paid a little more attention to your Mom’s decorating tips, I have fond memories of her AMAZING Gingerbread Houses!!! 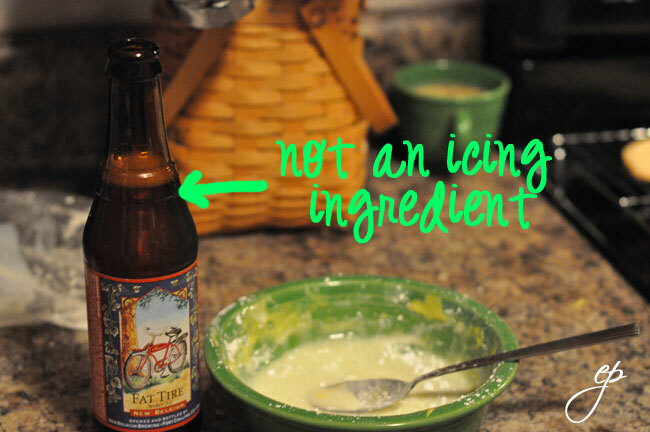 love the fat tire…and love the not perfect cookies. perfection is just so boring! totally agree, Hillary! 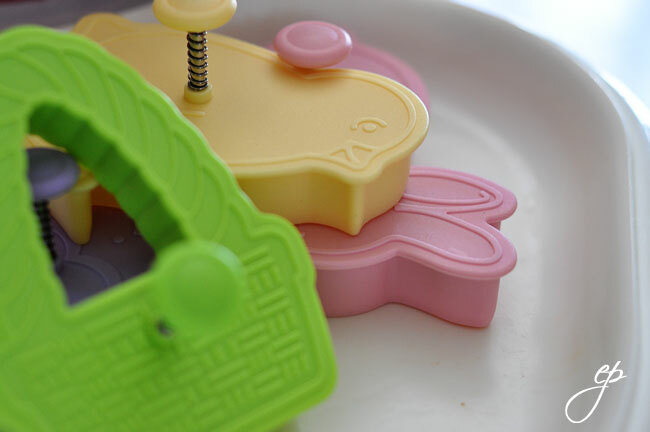 And yes, Sam…mom has a knack for the details in baking and decorating. Me…not so much. 😉 I try, though. These are awesome pics, Liz. 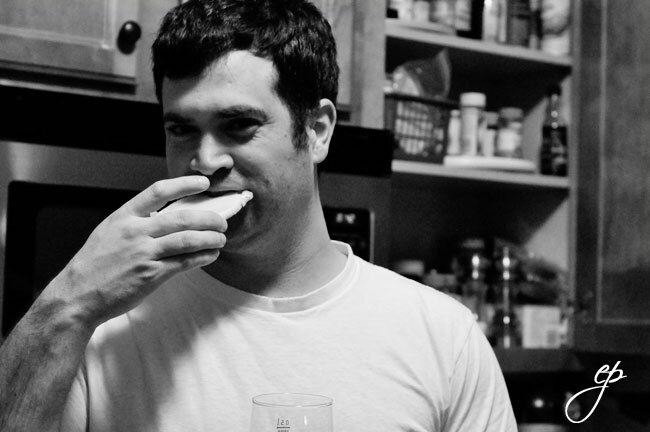 I believe Brando looks his handsomest when stuffing his face with homemade Easter cookies.